Welcome to the registration page for 2019 Apr. 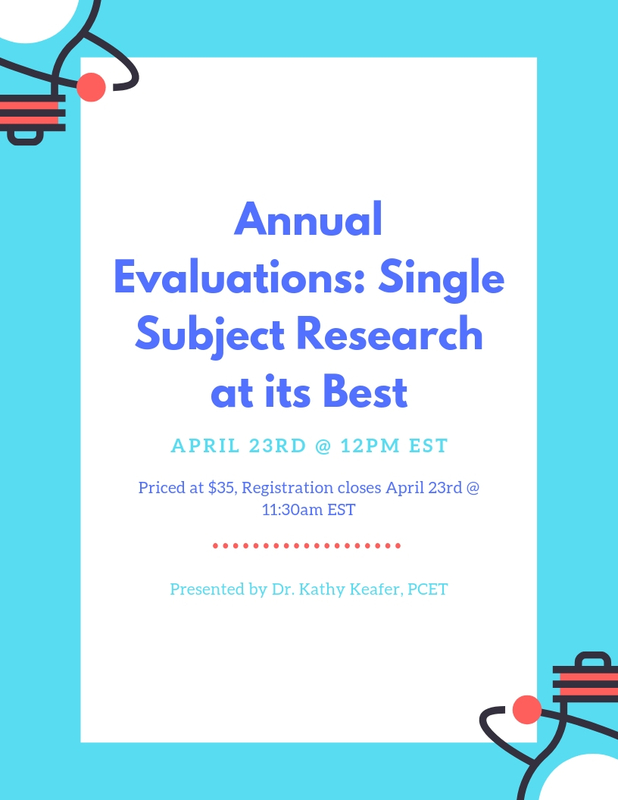 Webinar - Annual Evaluations: Single Subject Research at its Best. There is a group discount for this event. You'll receive a 20% discount starting with the 3rd registration.